The Southern Poverty Law Center has introduced an updated, interactive hate map equipped with new features to help people better understand the hate groups operating in their state and across the country. 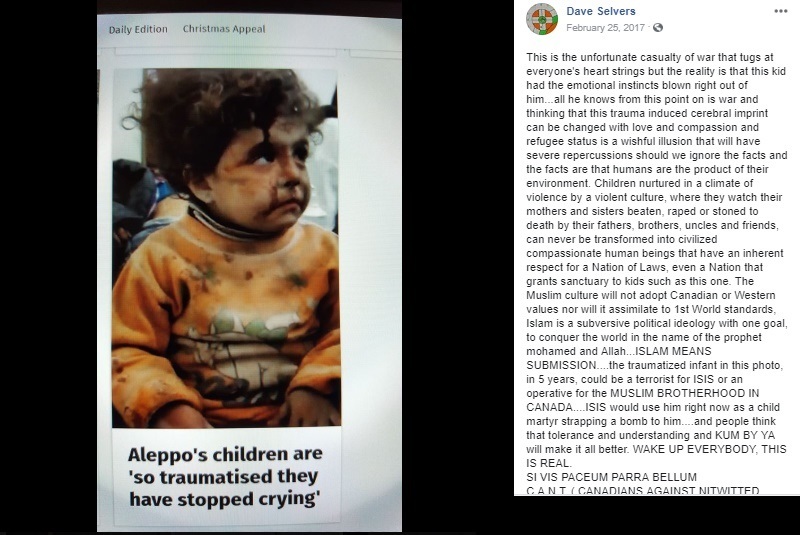 Seán Binder and Meena Aramish Masood, humanitarian volunteers on the Greek island of Lesvos, are initiators of this wide-ranging panel discussion which will be chaired by the LSE Human Rights Group. A free and unique historical walk in one of the UK’s vibrant multicultural towns, exploring its political and cultural landmarks as well as its life changing events. The special walk is part of a series of events organised by Southall Resists 40, consisting of local community organisations to mark the 40th anniversary of the death of school teacher Blair Peach in April 1979. This is one of a series of events to commemorate the 40th anniversary of Southall protests. Speakers include Suresh Grover, Sita Balani, Gurminder K Bhambra and David Renton. Well, not so shocked actually. 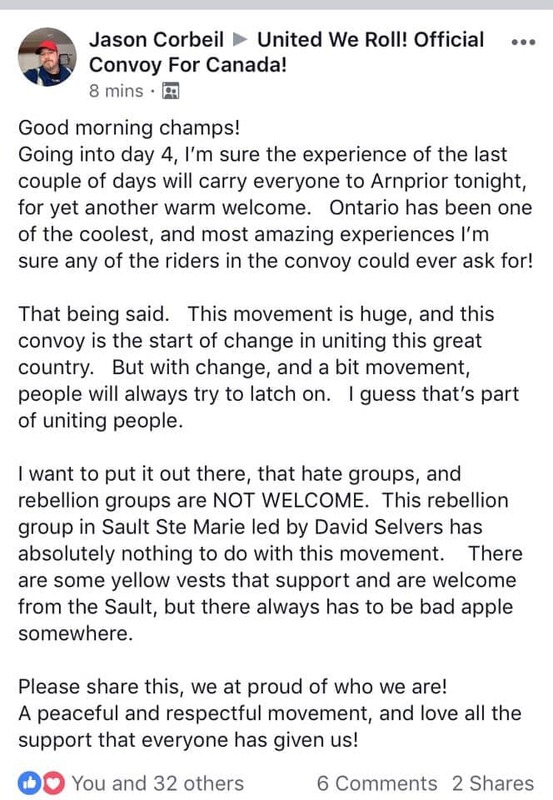 Getting back to the Convoy to Ottawa event, while it is nice that Jason Corbeil claims that Selvers is just a "bad apple" and not indicative of the beliefs of the others involved, it takes very little to find more examples of "bad apples" like Selvers. 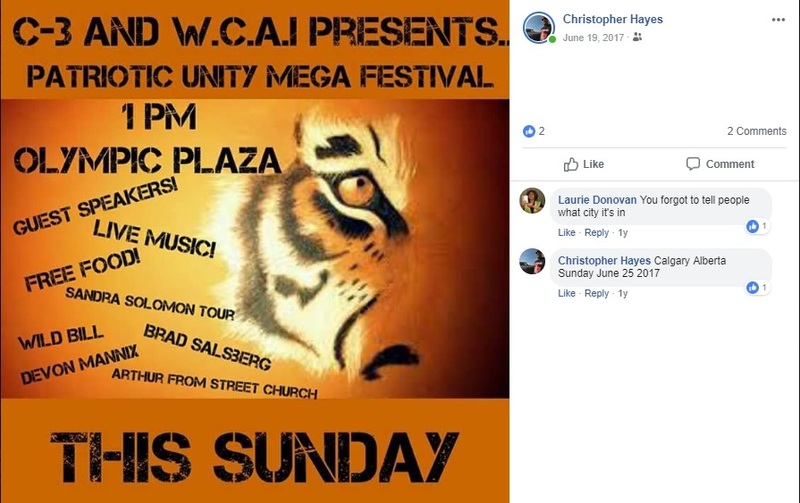 Christopher Hayes first came to ARC's attention when, as someone linked to the Soldiers of Odin through his own support and through his brother who was a chapter leader in Saskatchewan, he was arrested for making threats against the Prime Minister. 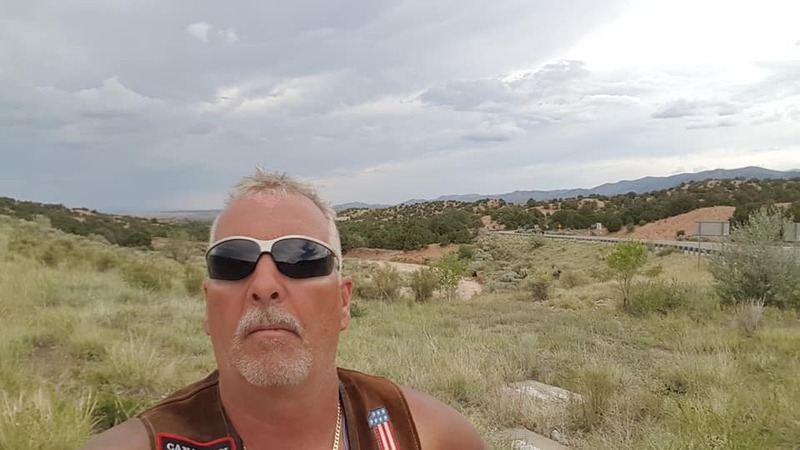 Hayes was eventually convicted and spent roughly a year on probation. 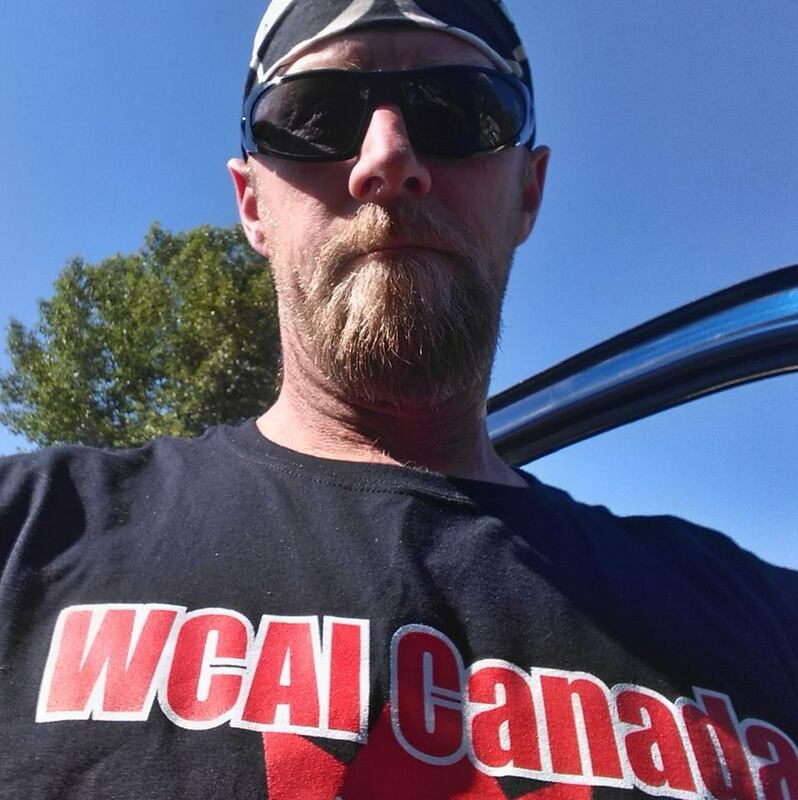 Making Fun of WCAI and CCC.... Because Why Not? 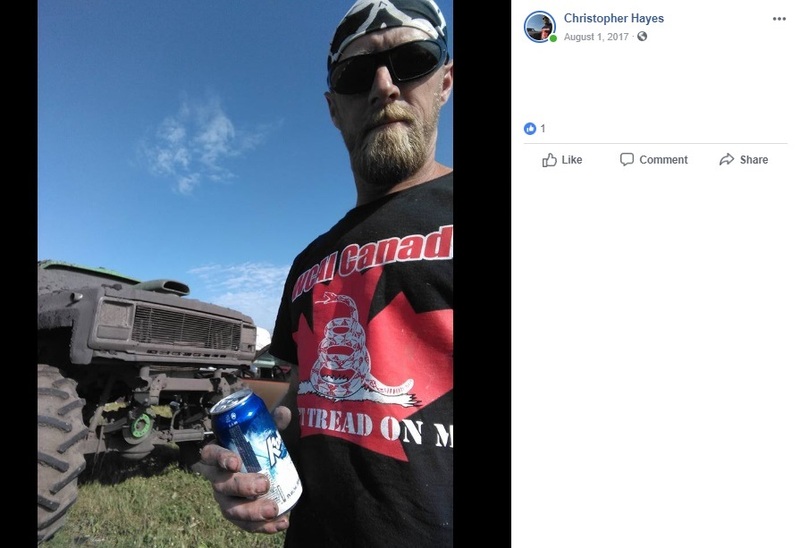 In short, Christopher Hayes appears to be kind of person, an extremist member and supporter of several hate groups, that Jason Corbeil says is decidedly NOT welcome in their convoy. A Southall resident describes the community activities in Southall Resists 40, remembering the death of anti-fascist Blair Peach in 1979 and the historic opposition to racism and fascism in Southall. 23 April is mainly seen as England’s national St George’s Day. 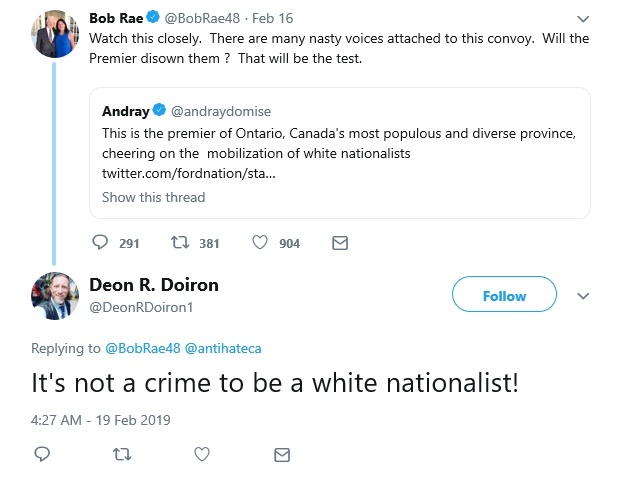 But, that day also stands out as a moment in British history when nationalist sentiment was supplemented with state racism and police brutality of the deadliest kind. Tuesday 23 April 2019 will mark forty years since the murder of teacher and anti-racist activist, Blair Peach. Peach’s death in 1979 was a consequence of a ruthless display of police violence against Southall’s predominantly South Asian community, with whom Peach was protesting in solidarity against the National Front’s unwanted and provocative presence in the town. It is with a commitment to honouring this salient milestone in British anti-racism, as well as remembering Southall’s wider history of grassroots anti-racist resilience, that Southall Resists 40 (SR40) was formed. SR40 is a coordinating group comprised of local residents, organisations, activists and artists. Underpinning the project is the collective view that remembering the aggressive policing of Southall’s black and Asian community, and of the wider contingent of anti-fascist protesters, in April 1979 is imperative, not least because Peach’s murder remains ‘unfinished business’ – no police officer was held to account for it. 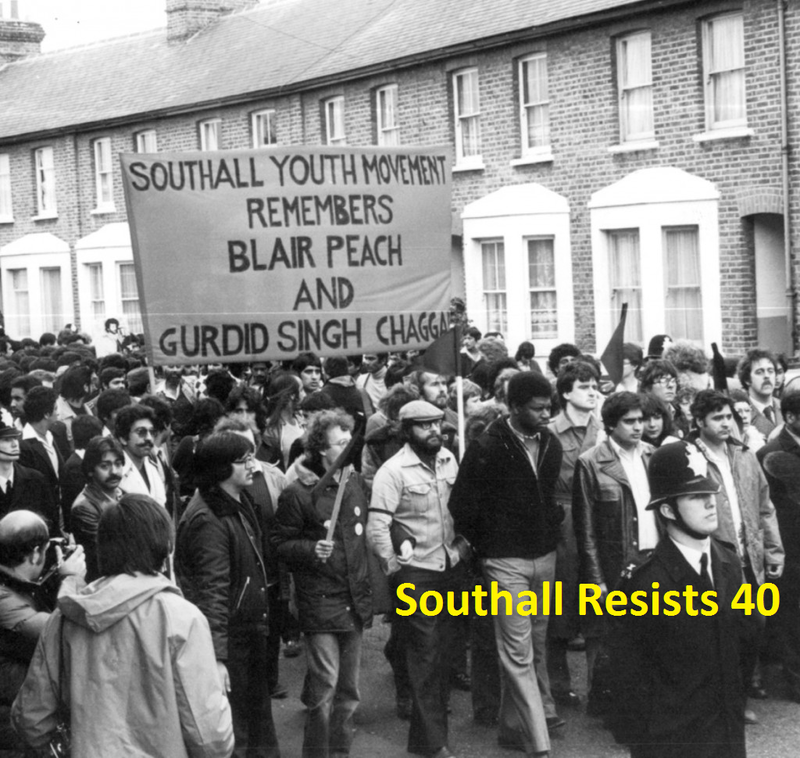 SR40 also represents a collective effort to relate the pivotal moment of 1979 to Southall’s broader history of racist violence and anti-racist resistance, which includes the racially-motivated murder of Gurdip S. Chaggar in 1976, and the community’s successful efforts to defend the town from fascist intruders in 1981. The project also recognises the significance of Southall’s anti-racist history for ongoing struggles against state racism and far-right fascism. 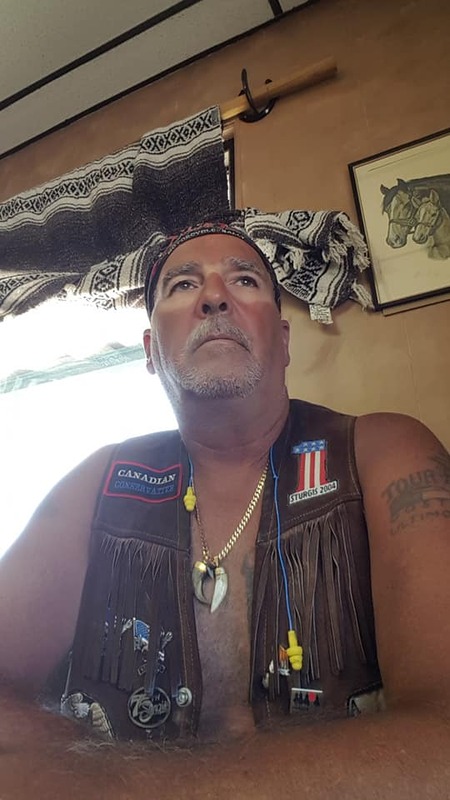 That is, SR40 remembers not for the sake of remembering, but rather to draw inspiration from the past for the anti-racist challenges facing us today. In practical terms, SR40 serves as a hub for various projects to work together, support one another and use creativity as a political tool for learning about past anti-racist struggles to mobilise in the present. Some initiatives already underway include the Southall Rising Arts Project, to make the monumental events of 1976, 1979 and 1981 a point of sustained classroom discussion — decolonising the curriculum in action. 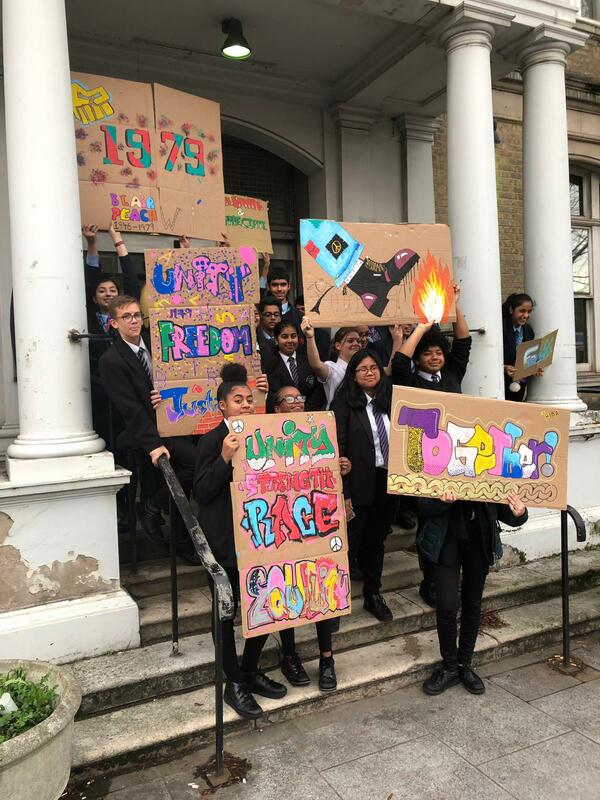 The project has involved community members working with local primary and secondary schools throughout the year, with students learning about the struggles of Southall’s black and Asian working-class community through art and creative writing. Some of the artwork is, appropriately, on display at the Southall Town Hall. Complementing this, the history walks initiative traces the gradual development of Southall into a proud symbol of multicultural conviviality, while also covering sites like the Dominion Centre, where racist violence and community fightbacks underpinning that development took place. 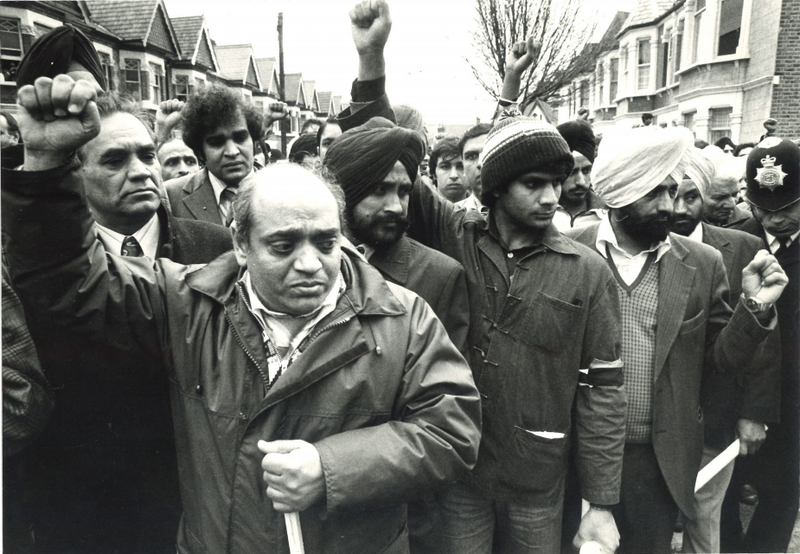 Upcoming events that will recall Southall’s past anti-racist struggles, while also organising for the present, include ‘An Evening of Culture and Resistance’ on Friday 12 April 2019, which will involve poetry, music and film; a plaque ceremony and vigil in honour of Blair Peach and Gurdip S. Chaggar on Tuesday 23 April 2019; a procession on Saturday 27 April 2019; and a symposium on fighting fascism on the following day at Birkbeck, University of London. Each initiative is special in its own way and makes a unique contribution to the collective endeavour of acknowledging not only Southall’s anti-racist past, but also how it speaks to the now. Hopefully, the momentum generated from these grassroots projects can be built upon beyond April 2019. 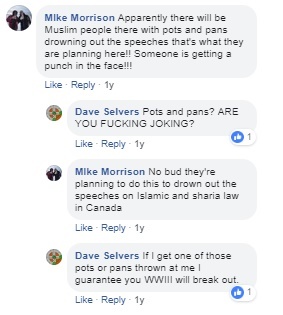 The community victory that put paid to the far Right ever stepping foot in the town again, is a proud legacy to remember in radical history, but SR40 suggests how that tradition can be carried forward beyond Southall too. Blair Peach memorial march following his death on 28th April 1979. Protesters look towards to spot where Blair Peach was killed. I have the best readers. 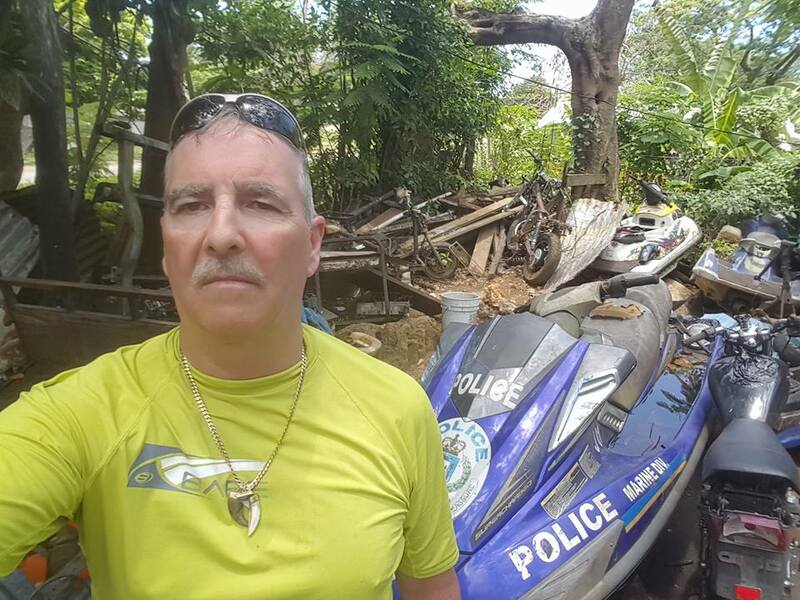 This article is due to one who continued to dig into a figure who appeared in yesterday's blog post. It turns out he's even more interesting than I had thought. 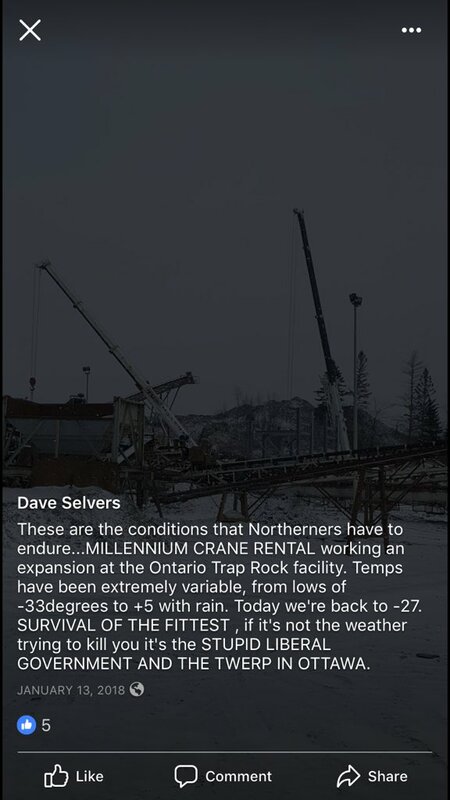 Thank you to David Selvers, President Millenium Crane Rentals for sharing his pictures with Superior Media. The following photo gallery speaks for itself. 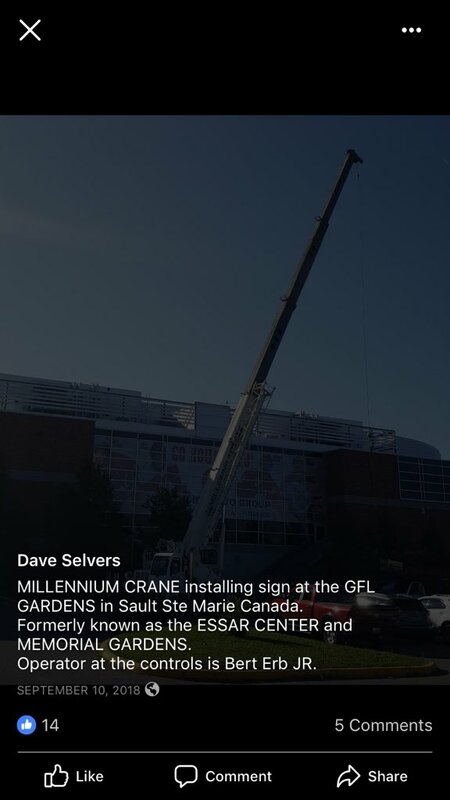 In honour of the season, Algoma Steel Inc. is pleased to announce they have partnered with Millennium Crane Rentals to resurrect the Christmas Star. The Star was crafted back in the 1980’s by members of Algoma’s Central Trades group. 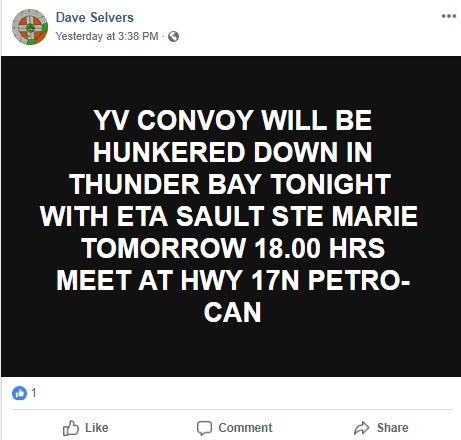 Measuring 29-feet across, the steel framed star was wired with lights and hoisted high in the sky to shine bright over the Steelworks, bestowing goodwill and best wishes to the residents of Sault Ste. Marie. 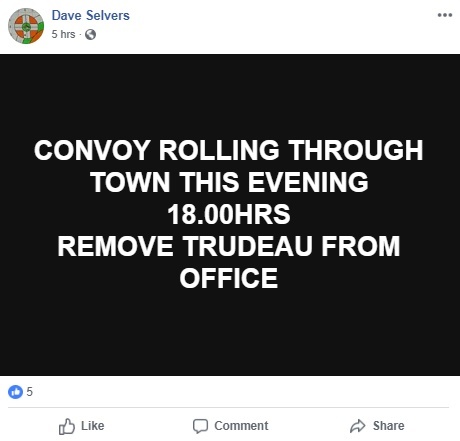 UPDATE 2: Selvers also testified in the Elliot Lake mall disaster inquiry back in 2013. 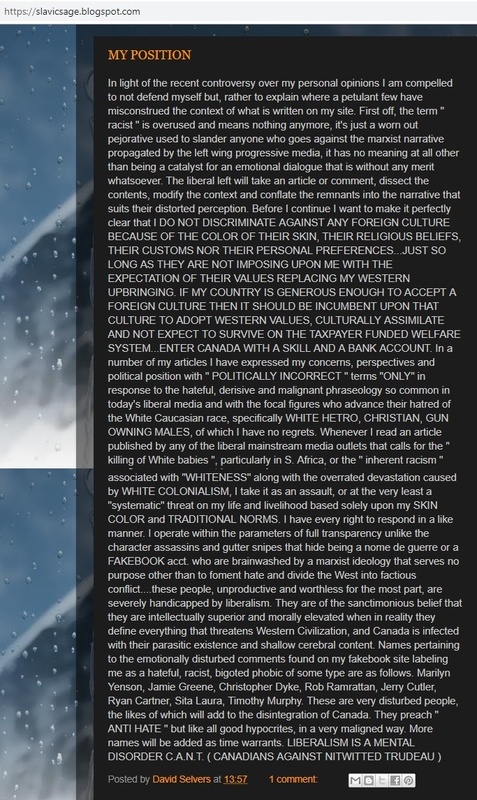 "I'm the farthest thing from a racist..."
Uhm.... does he know what the word "racist" means? 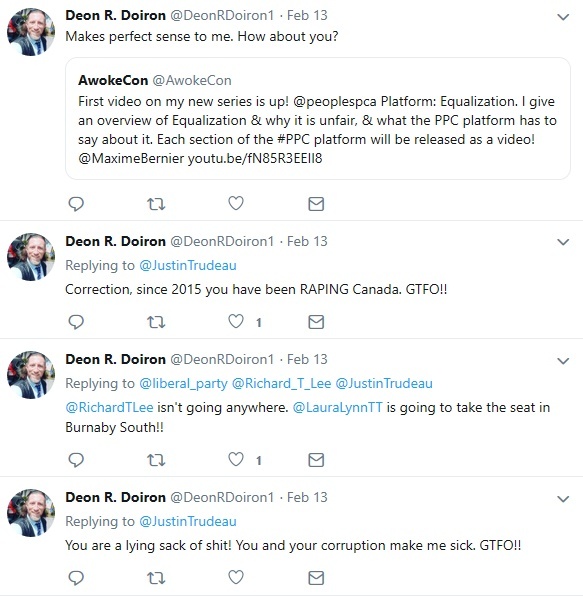 It doesn't take long to find examples of not only racism, but also incredibly sexist, homophobic, and violent rhetoric on his personal blog, a few examples of which I include below. 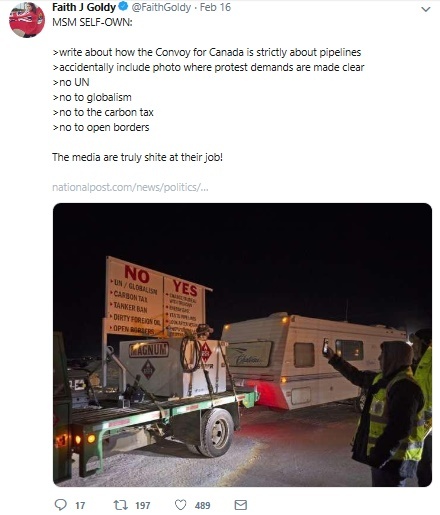 On Tuesday last week, "The National" on CBC uncritically profiled the Yellow Vests movement and provided a forum for overt hate groups such as the former Nouns of Odin now going by the name the Clann. 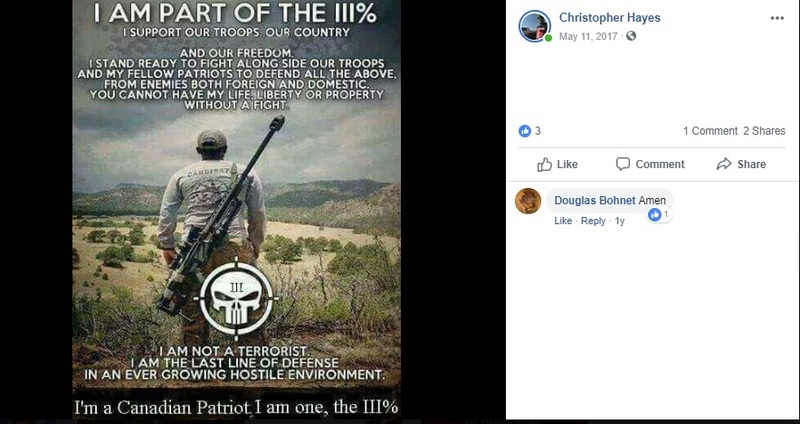 There was little to no mention of the racism rife within the movement and no mention of the violent threats directed towards political figures on the left (or at least those the reactionaries consider to be on the left). 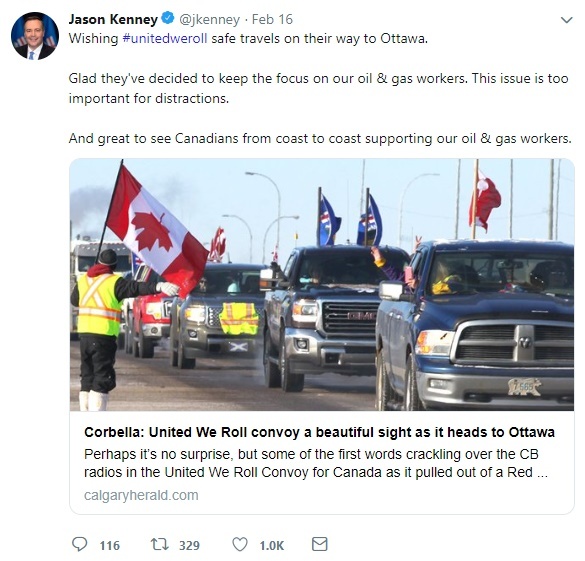 As bad as this coverage was, news papers including the "Calgary Herald" and "Toronto Star" provided even worse coverage. 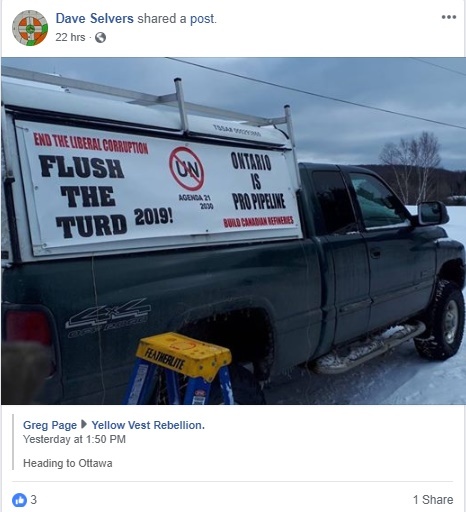 Visit the Yellow Vests Canada Facebook page. 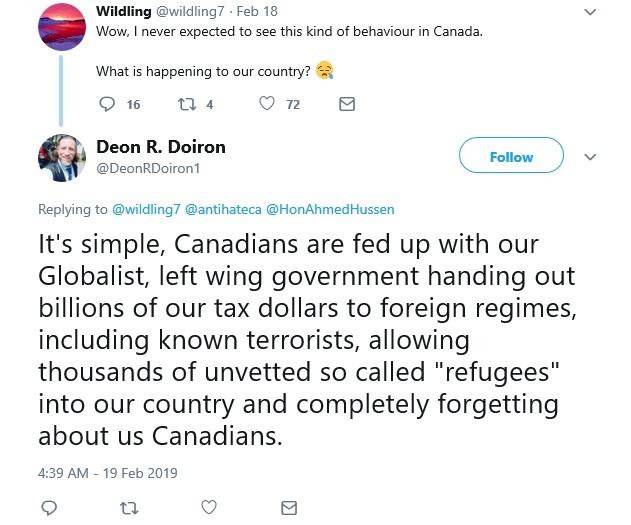 It's self-evident their main concern isn't oil and gas, but Muslims, Trudeau, leftists and conspiracies. 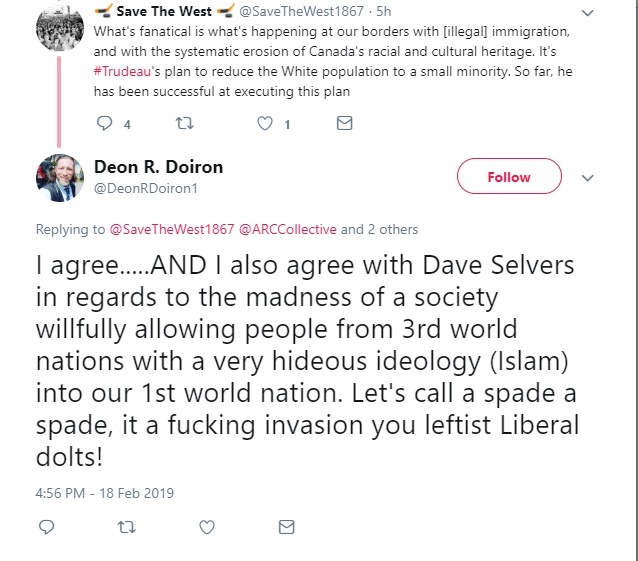 For the overt racism, death threats, and conspiracy theories about how the Fort Mac fire was done by Muslims, see @VestsCanada.— Canadian Anti-Hate Network (@antihateca) February 14, 2019FYI @TorontoStar @calgaryherald @CBCTheNational @goldsbie @JesseBrown @CANADALAND. 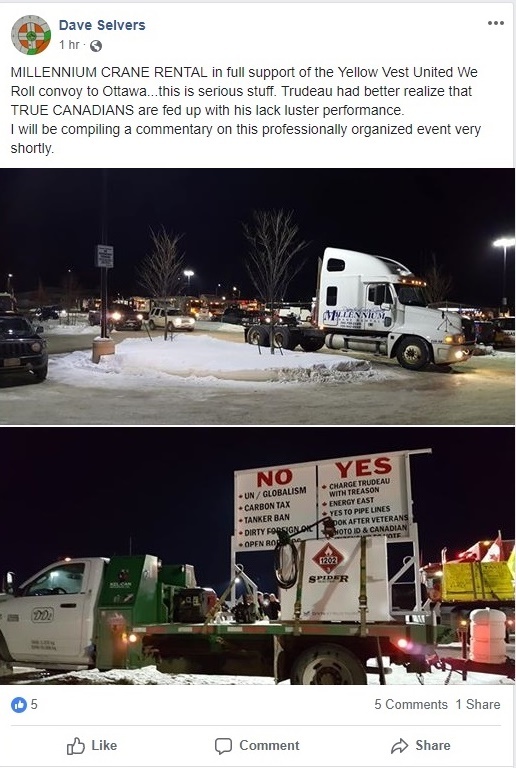 The big event this weekend is of course the reactionary Yellow Vests convoy to Ottawa which Yellow Vests Canada Exposed and the Canadian Anti-Hate Network have been doing a fantastic job of covering. 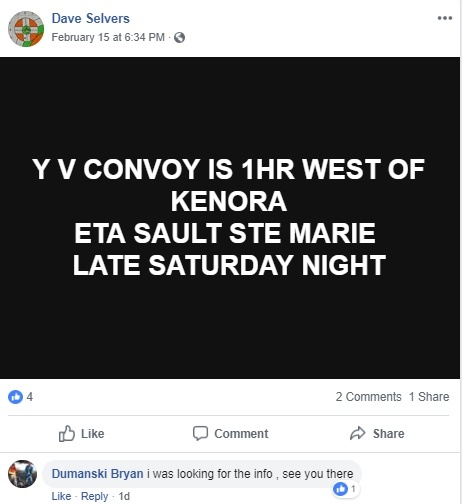 I'll probably be addressing the event some time later this weekend as well sourcing their very through work. 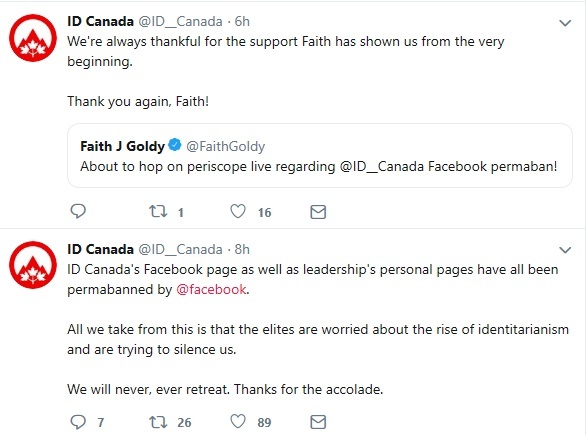 In the meantime, there's been some significant news on the ID Canada front. Again if you aren't following either, you really should be. 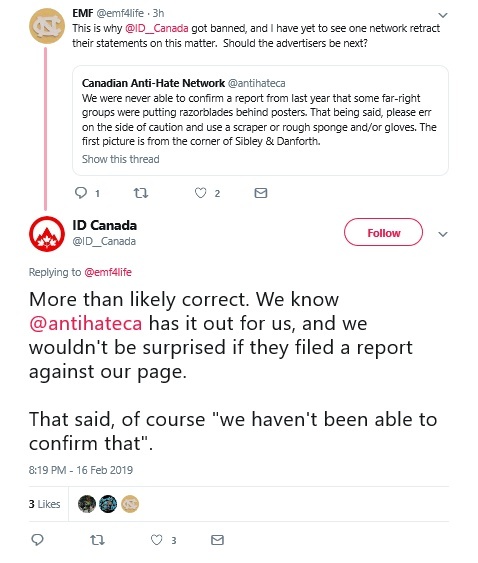 ID Canada of course is the identitarian (read: white nationalist) group that was originally called Generation Identity Canada before rebranding. 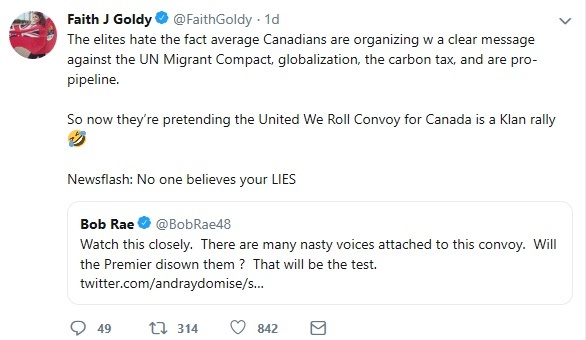 In a recent article I discussed the very cozy relationship that ID Canada had with some current and past personalities associated with Ezra Levant's Rebel Media. 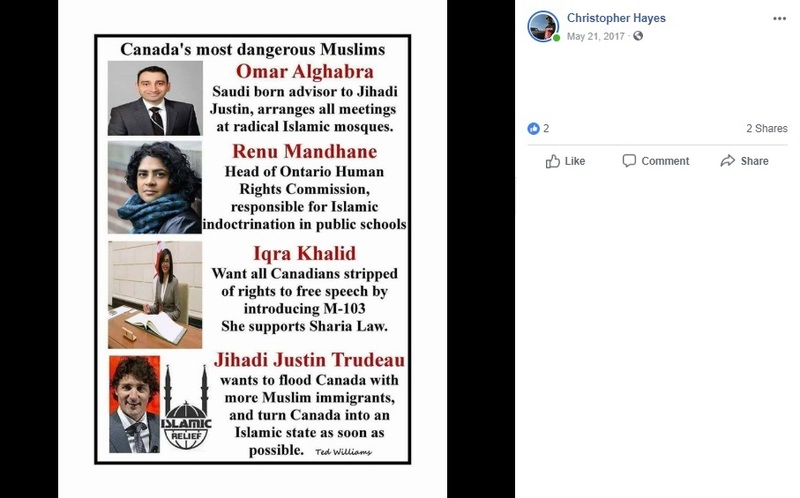 I also very briefly mentioned a Generation Identity Canada Facebook page that had been removed by Facebook some years ago before I had an opportunity to see it for myself. 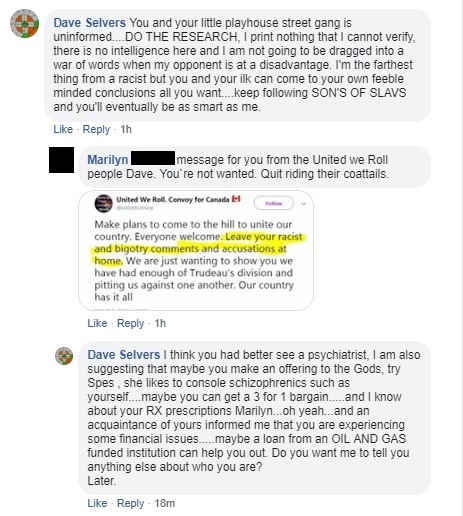 Not only was the Facebook group permanently banned, but so were the leaders' own profiles. 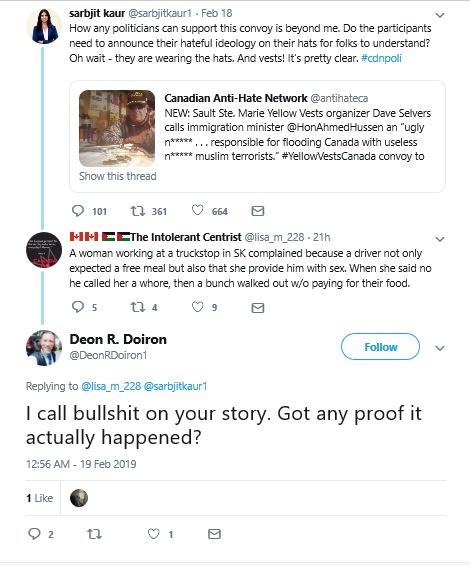 Of course, they are now erroneously crying "censorship!" 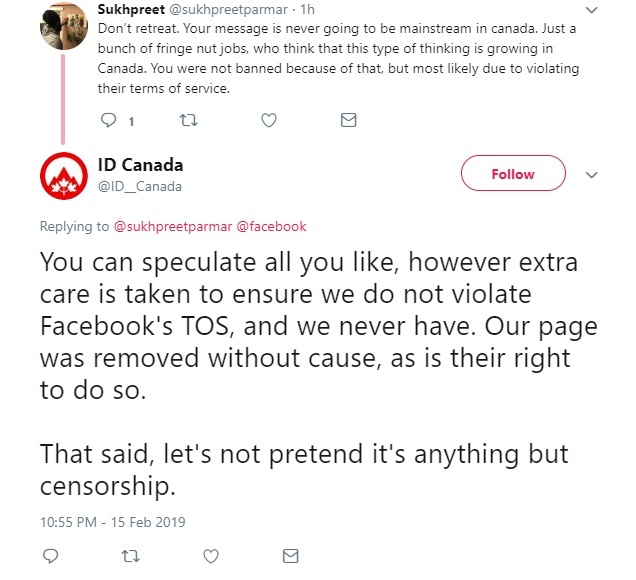 despite not actually being censored because being banned for violating the terms and services of your user agreement (or a private company not wishing to be associated with your rather noxious brand) isn't actually censorship. At all. Funny. I thought tears were salty. Turns out they can be quite sweet. 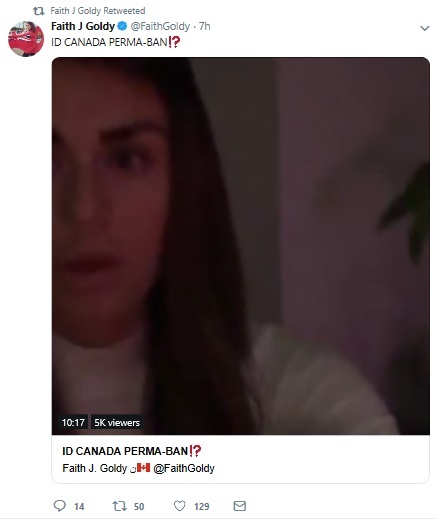 On that note, if anyone would like to donate to the Canadian Anti-Hate Network and piss off white nationalist Faith Goldy even more, please click on this link. 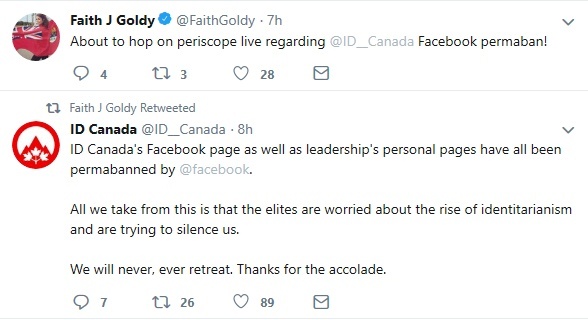 Now the removal of ID Canada and their leadership for Facebook might not seem like a big deal, but it is one less avenue they now have to promote themselves and their toxic views. 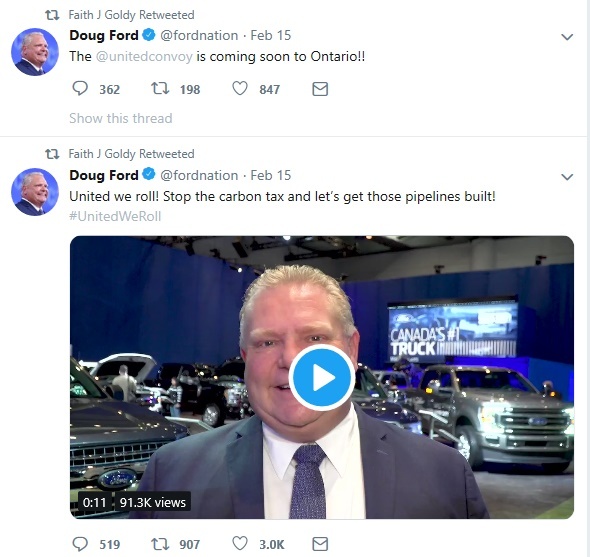 De-platforming works. 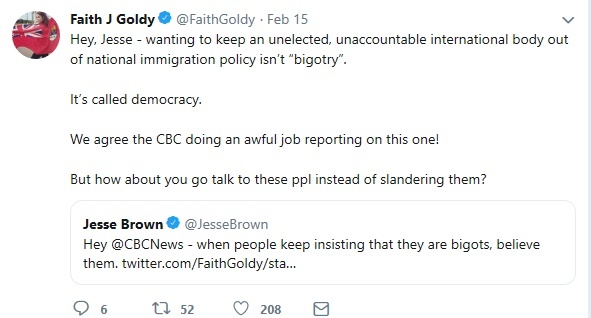 Ask Laura Loomer or Milo Yiannopoulos for example.... I mean if you can find them between they occasional desperate publicity stunt to get peoples' attention because they have few other avenues to do so. The U.S. Supreme Court today denied the Trump administration’s request to immediately enforce a new policy of denying asylum to migrants who cross the U.S.-Mexico border between ports of entry. Weekend Read: No one cares if you miscarry. No one cares if you ever go home. Tylenol for the pain. Diapers for the blood. Towels for underwear. President Trump has just declared a national emergency so that he can divert federal funds to pay for his border wall in order to satisfy the Ann Coulters of the world and his nativist base. The SPLC sued the Trump administration today over a new policy that forces asylum seekers to return to Mexico and wait there while their cases are being considered. 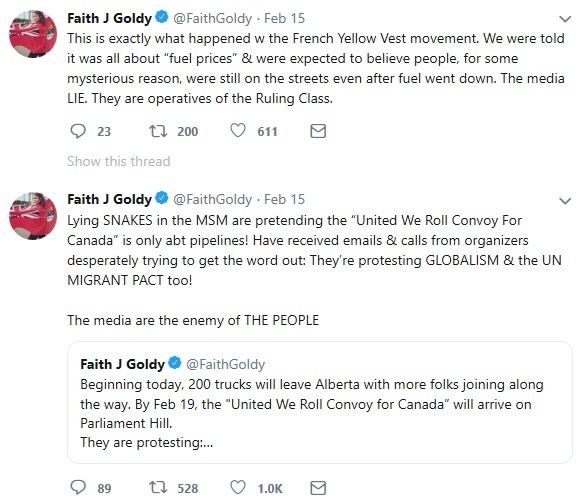 So, remember that time when it was reported that a reactionary Yellow Vest Supporter had been arrested for pointing a gun at a police officer and then was found to have an arsenal of weapons, some of which were illegal? 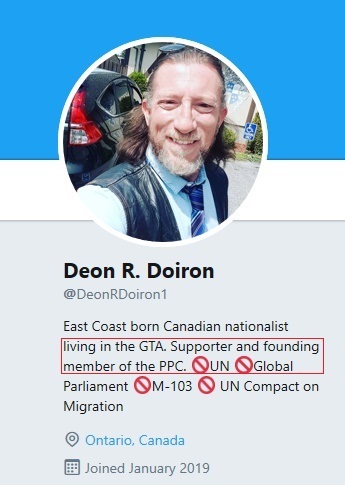 Yep, another one, though he hasn't been arrested recently as far as I know. 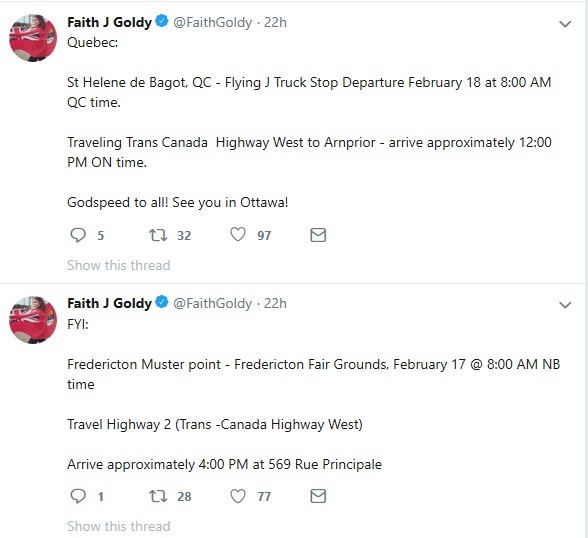 More confirmation that this is a feature of the reactionary Yellow Vest protest movement and not a bug.